A major international loan exhibition focusing on the artistic tradition inspired by Japan's most celebrated work of literature will go on view at The Metropolitan Museum of Art beginning March 5, 2019. Bringing together more than 120 works of art from 32 public and private collections in Japan and the United States—including National Treasures and Important Cultural Properties, most of which have never left Japan—The Tale of Genji: A Japanese Classic Illuminated will explore the tale's continuing influence on Japanese art since it was written around the year 1000 by the noblewoman Murasaki Shikibu (ca. 978-ca. 1014). Often referred to as the world's first novel, The Tale of Genji has captivated readers for centuries through its sophisticated narrative style, humor and wit, and unforgettable characters, beginning with the "radiant prince" Genji, whose life and loves are the focus of the story. "The Tale of Genji has inspired generations of artists over centuries, and ours is the first exhibition to explore this phenomenon in such a comprehensive way," said Max Hollein, Director of The Met. "The magnificent works of art in the show will also offer a view into the development of Japanese art, a testament to the prevalence and impact of the renowned story." The exhibition will present the most extensive introduction to the visual world of Genji ever shown outside Japan. 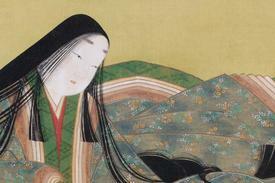 It will feature nearly one thousand years of Genji-related art—an astonishing range of works including paintings, calligraphy, silk robes, lacquerware, a palanquin for a shogun's bride, and popular art such as ukiyo-e prints and contemporary manga—and provide viewers with a window into the alluring world of the Heian imperial court (794-1185) that was created by the legendary authoress. Comprising 54 chapters, The Tale of Genji describes the life of the prince, from the amorous escapades of his youth to his death, as well as the lives of his descendants, introducing along the way some of the most iconic female characters in the history of Japanese literature. Organized thematically in eight sections, the exhibition will pay special attention to the Buddhist reception of the tale, while also giving prominence to Genji's female readership and important works by female artists. Among the works on view, highlights will include two of Japan's National Treasures. The first, on loan from Seikado Bunko Art Museum, is a pair of screens by the Rinpa master Tawaraya Sotatsu (ca. 1570-ca. 1640)—Channel Markers and The Barrier Gate—depicting two chance encounters between Genji and a former lover. The second is the breathtaking Heian-period Lotus Sutra with Each Character on a Lotus, from the Museum Yamato Bunkakan. These works will be on view for six weeks and then rotated with other masterpieces over the course of the exhibition. A number of works recognized as Important Cultural Properties will be on view throughout the exhibition, including beautifully preserved album leaves by Tosa Mitsuyoshi (1539-1613), from the Kuboso Memorial Museum of Arts, Izumi, which will be shown together with rare Tosa School album paintings from the Harvard Art Museums and The Met's own collection. The exhibition will also include a section featuring important works of art from Ishiyamadera Temple whose hall contains a "Genji Room" that commemorates the legend that Murasaki started writing the novel within the temple precincts. The final section of the exhibition will feature a series of original manga drawings by Yamato Waki that were inspired by The Tale of Genji. She translated Genji into the comic book idiom, making Murasaki's tale accessible to a whole new generation of readers. A site-specific opera entitled Murasaki's Moon—commissioned by MetLiveArts, On Site Opera, and American Lyric Theater in conjunction with the exhibition—will be presented in The Met's Astor Court on May 17, 18, and 19. The exhibition will be featured on The Met's website, as well as on Facebook, Instagram, and Twitter using the hashtag #MetGenji.